The Lombard Company is experienced in building religious facilities of all dominations. Our quick turnaround capabilities and careful attention to detail ensure your building project it completed to your complete satisfaction. The Lombard Company would be happy to work with you as the general contractor on your next project and is certain you will be more than satisfied with the results. The contract was awarded to The Lombard Company based on the Archdiocese of Chicago negotiated GMP guaranteed maximum price format. The project was an 11,000 sq. ft. new parish center and gymnasium. Lombard Architectural Precast Products Company produced the architectural precast wall panels to simulate the look of stone. The Lombard Company worked closely with Newman Architects and The St. Daniel building committee to value engineer the project to meet a budget. The project was completed to everyone’s satisfaction. The Lombard Company completed the 12,000 square foot new worship space and adjacent Narthex at Resurrection Parish. 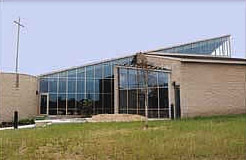 This featured exposed structural steel framing and wood roof deck “in the round” seating with natural cut slate flooring, exposed colored split face masonry walls, triangular clerestories, a marble clad baptismal font and custom colored aluminum curtainwall. The project also included renovation of the existing Worship space into a 5,000 square foot Parish Center. The exterior of the New Worship Space is accented with Native Prairie landscaping and a prairie path. 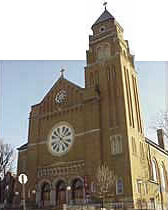 Constructed under the multiple prime format utilized by the Diocese of Joliet. 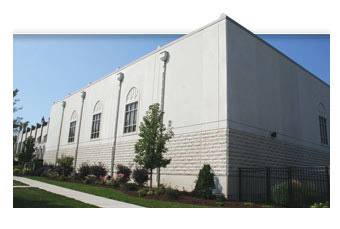 The Lombard Company provided construction management services to St. George Parish in Tinley Park, Illinois, for their school and church renovation and expansion project. The $2.8 million project included an 11,500 square foot Parish Life Center and a 7,200 square foot gymnasium addition to the existing elementary school. 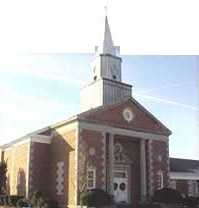 The church received a 4,500 square foot addition as well as extensive interior upgrades. The church work, through careful planning, was accomplished without disruption to its regular services. The Lombard Company provided construction management services to St. Cyril and Methodius Parish in Lemont, Illinois, for their school renovation and expansion project. The $1.6 million project includes a 7,000 square foot, two-level addition to the existing elementary school. It also involves extensive renovation of the school. Tight spatial constraints, together with daily interface with Church and school traffic, required careful planning and constant communication.